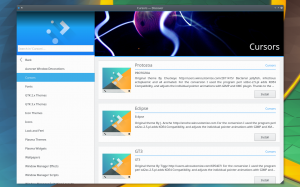 In a few days (May 13th-14th) the KDE e.V. board will be having an in-person board meeting in Berlin. We’d like to take this opportunity to meet and talk to other people in Berlin besides ourselves, so we’re organizing a dinner on Saturday 13th around 19:00 (location still undecided, suggestions accepted). So if you are interested in talking about KDE, KDE e.V., Free Software, Open Source, or any other random talk and want to have a good time let me know that you’re coming as soon as possible, space is limited. It’s impressive how in the last few months (and especially the last few weeks) the discussion around bundled applications for the GNU/Linux Desktop has sparked. The solutions that have attempted to tackle the problem in the past have been ignored (both by us developers and by distributions). First, let me try to subjectively summarize the problem: Historically, the resources we get in GNU/Linux come from the distributions. Anything: executables, libraries, icons, wallpapers, etc. There’s been alternatives to all of those, but none has flourished as a globally adopted solution. This guarantees that everyone using a distribution will have access to the resources the distribution can offer. The more powerful the distribution is, the more we get. There’s limitations nevertheless, so some restrictions have to get in place. The ensemble of limitations and technologies adopted will effectively define the user’s experience. We have users using really old versions of our software with issues we’ve solved in versions they can’t use. It’s really hard for GNU/Linux users to get users to test unstable versions of our software. We have users who want to use fresh versions of some software but not in the whole system. There’s been many solutions to fix those, some easily come to mind: ArchLinux’s AUR (with yaourt), Ubuntu’s PPAs, big-tar application packages, OpenSuse’s OBS, and possibly others. Far from showing the maturity of the Linux desktop, what this depicts is the deep fragmentation we’re into: we have come up with different solutions that break the established distribution paradigm by lowering the restrictions and considering the resources offered as unsupported (often tainting the whole system). What has appeared recently is sandboxing. It’s especially interesting because by letting the users execute any binaries we’re increasing the exposition of their systems. Hence, jumping from our distributions’ nest into the lions. As always, sandboxing creates new challenges: It requires changes in applications (or frameworks) to adapt, often creating a user interaction fence (e.g. a popup asking if you let Kamoso access the webcam). For what it’s worth, that’s not new: Android does it, OS X does it, Windows does it (from the Store), Chrome OS does it, etc. We need to decide about GNU/Linux’s future. Or at least, we need to understand what Plasma users will have available. So far, most of the noise comes from the big players in the business trying to differentiate their products, meaning incompatible versions. Make sure we don’t lose many features by sandboxing. Still, one of the good things of this new approach is that it shouldn’t have to be necessary to have several people dedicated to build every single application and component. If the solution is to add 3 more solutions that will need dedicated people, we’re not really moving forward. Newer versions of applications on administered systems (e.g. universities). Enabling stable distributions on professional environments. Binary application 3rd party extensions. Provision of debug symbols (some distros don’t offer them). How easier would all that be in a microkernel architecture? Of course this will be a long journey and we need your collaboration. This year in Randa we started working on all these problems in several different angles. It’s important for the KDE Community to have your support, so we can keep providing quality software. Consider donating, doesn’t need to be a lot, everything counts. I haven’t talked about what’s going on in the Discover front for a while, here’s a small heads up on what you’ll get in the next Plasma 5.7 release. PackageKit (and AppStream): This one has received most of the care. It has been rearranged to instant load. Also we made it possible to integrate this backend with KNS/OCS, to show when there’s add-ons ready for an application. 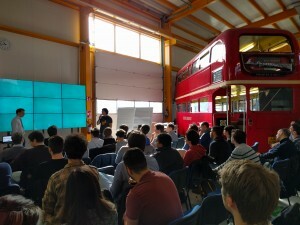 KNSBackend: It’s being polished and adapted for new use-cases. First it used to focus on Plasma-centered assets, but we’ve worked towards making it possible to become a viable solution for Application add-ons as well. Furthermore it has been trimmed down to also provide fast startup while keeping its features. 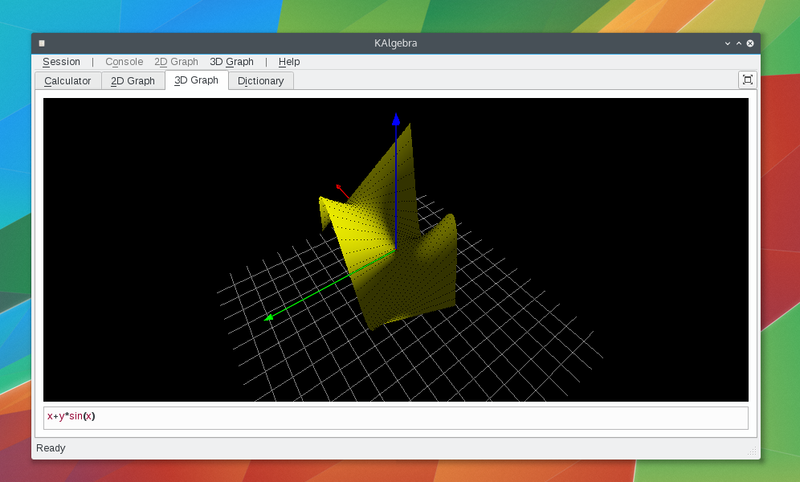 QApt: The traditional QApt backend used in Kubuntu is now considered deprecated in favor of PackageKit, which I understand should be available properly on every GNU/Linux distribution, including Kubuntu. We kept it around because there’s been longstanding issues with PackageKit on Ubuntu, but I’m confident these will be solved soon. We used to have many of them, they have now been reduced to two: Discover and the Notifier Plasmoid. This allows us to focus one GUI. Of course, you can still use Muon, Apper and Synaptic together with it, for more precise package management. Regarding Discover, the main focus this year has been: performance, stability and Add-ons. Performance: Mostly back-end work, and it has also benefited from improvements in KF5 and upstream Qt. Updating the dependencies will improve your Discover experience as well as that of other similar applications. Better usage of some model classes was also a nice improvement in some places. Stability: We worked on making sure that things not only are sturdy but that the development process doesn’t get in the way of stability. To that end, I set up a testing framework so that changes are automatically tested, additionally to the manual tests the developers will do at some point. Add-ons: One of the important parts of Discover, is to make sure the user is aware of the nice resources he has available. KNewStuff resources (mostly coming from kde-look and kde-files so far) have been available for a while, albeit mostly for Plasma enhancements. In this next release we allow these to extend applications themselves as well. Discover‘s future is Kirigami. We have already some work lined up (see the kirigami branch), we are pending some design work so that it shines, but the approach is already quite promising! 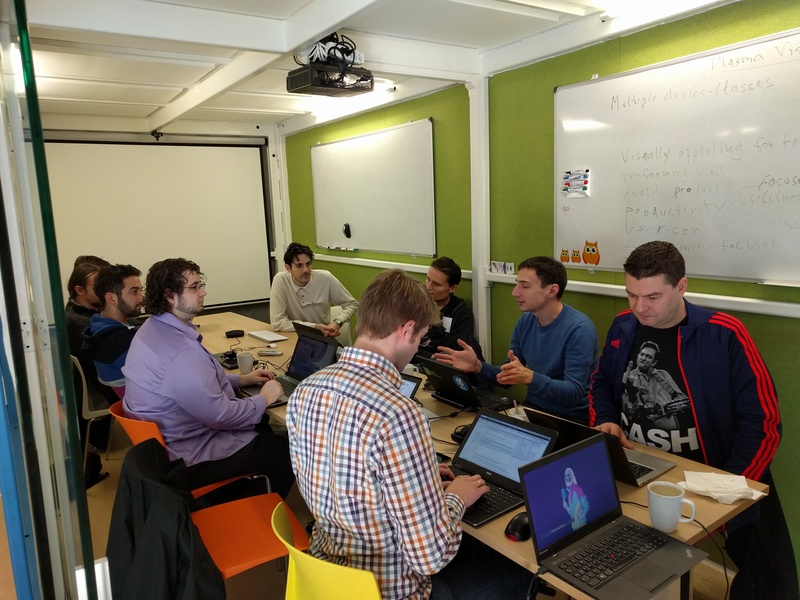 Discuss how to keep pushing Discover for the next releases both with Plasma and the VDG. The new testing infrastructure is in place and I hope I’ll get to merge soon this week. Feel free to peek: patch1 and patch2. This is very important because it will allow us to make the testing of plasmoids systematic, to some extent, making it easier to develop plasmoids and containments while maintaining and increasing the delivered quality. Regarding Discover, there’s lots of ideas. Definitely far more than we can materialize. For now, we’ll be delivering a much more polished experience for 5.6 both on the strictly technical side (better appstream and PackageKit integration, better use of QtQuick in some areas) as well as on the looks side, mainly thanks to Andrew and Thomas who keep pushing me whenever something is not entirely perfect, which is awesome. The first special thing was that there was a VDG sprint in parallel. It wasn’t VDG people who joined us, but an actual sprint. This was especially good because it allowed for a fluid back-and-forth of ideas. It’s especially important both to have some designers full of dreams kicking our asses from time to time, as well as some kind of pragmatism back to them so the good ideas can end up being part of our workflows. Another special thing about the sprint was having the WikiToLearn team over. 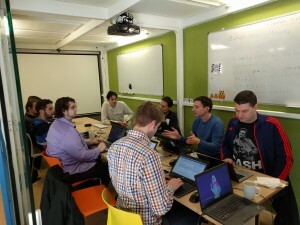 It was their first actual sprint as well as first time we all met together in a KDE event. I think it worked great, despite being different communities in nature, it’s interesting to see how synergies kept happening. I’m sure there’s good space for collaboration and I’m looking forward to keep working together. Apparently they have a particle accelerator there. What?! 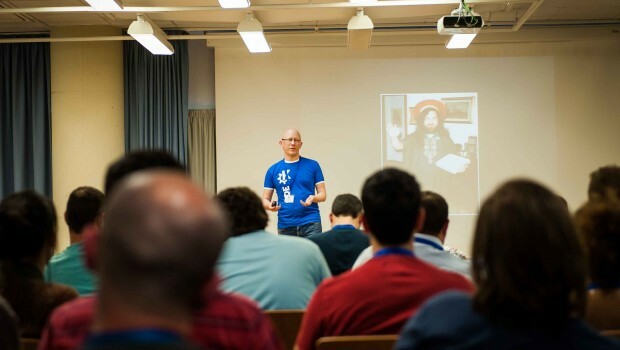 Akademy-es 2016 will be taking place during the next 15th to 17th of April. Here you can learn about the conference’s program. Akademy-es is the annual meeting for KDE contributors and users in Spain, which is organized every year since 2006. Get in touch with KDE and Free Software developers and users from around Spain and discuss the projects and trends that are being developed as well as sharing code, experiences and knowledge. Showcase the KDE Community to people with a non-technical profile, showing the different opportunities it offers. 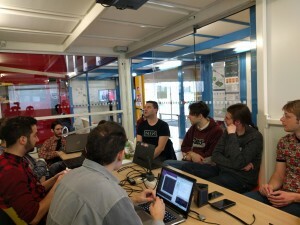 Discuss the new technologies KDE and Free Software offers, both for new developers and for users who want to know what’s really available to them. Enjoy learning more about Free Software. 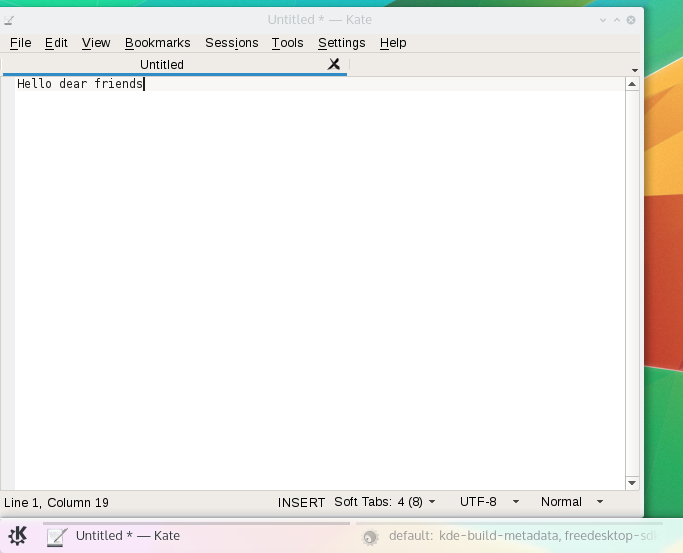 All in all, it’s rather easy, it implements a packaging format, but one that I feel KDE can maintain reasonably easily. I set it up in 2 chunks, copying GNOME’s approach: one repository for the run-time (that includes Qt5 and most of the KDE Frameworks 5) and then another one that can build applications. One thing we could do now is set up servers that built nightly versions of our applications, I’ll have to ask the sysadmins how do they feel about it.